Serie A is spicing it up this season and allowing rival clubs to battle it out early in the season. Which means that Inter and Milan will face off the early in the regular season this year in a match that will likely be a close hard fought battle. Is Leonardo ready for such a tough challenge? Will Inter discover their offense? These are a few of the big questions surrounding this match. It’s a big match f0r both clubs, but the pressure is on both squads for different reasons. 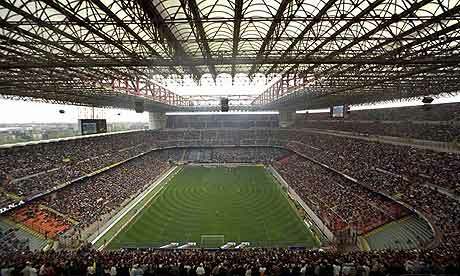 Milan is pleased with a win last week, but fully aware of the fact that they are playing their first home match of the season. No club wants to look foolish on their own pitch so this game is especially critical to a club still searching for their identity despite a victory last week. Whereas Inter will be on the road coming off of a frustrating tie to Bari. If Inter loses this match then they have earned only one point in two opportunities. Not the start a championship repeating club wants to see either. Roma is another example of a good club that fell on their face the first week of the year. The club needs to bounce back at home against Juventus, but it is very likely that Alessandro Del Piero and Company will overtake the squad for the second straight week. Sampdoria was an impressive squad in their first match against Catania and the club has a chance to earn six points in their first two matches with a win over Udinese, but Udinese’s Di Natale did score two goals in their first week match against newbies Parma in a 2-2 draw. Cassano VS Di Natale in a potentially high scoring battle in this one.